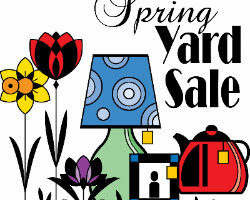 » Events » Spring Fling School Yard Sale !!! Spring Fling School Yard Sale !!! Andy Comments Off on Spring Fling School Yard Sale !!! Here is how YOU can help! 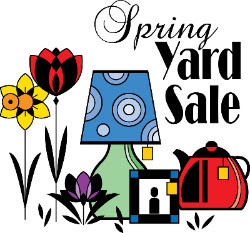 Feel free to spring clean your home and donate anything you think we could sell at the Yard Sale. We will accept ANY items, big or small, old or new, as long as they are in a reasonable condition. Contact Christy or Ann in the church office (596-5808) to schedule a convenient drop off time. Youth Pancake Breakfast – After Early Service – Join us for pancakes, sausage, fruit and beverages!! !